Pain 2009; 142: 183-188- McDonald D, Moseley GL, Hodges PW. Thank you Dr. Slosberg for the review. Why do Some Patients Keep Hurting Their Back? Evidence of ongoing back muscle dysfunction during remission from recurrent back pain. Key Points: a Multifidus study-This 2009 study’s findings confirm the recent trends in motor control change research and does an excellent job in summarizing the conclusions based on the accumulation of this evidence over the past decade. Disturbances in motor control can be persistent and leave the area vulnerable to re-injury & recurrence. The findings suggest that the addition of exercise training to normalize & restore motor control patterns may have significant long-term benefits. In addition, the discussion about spinal injury specifically reducing the excitability of corticomotor inputs to the short fibers of the lumbar Multifidus indicates the complexity of the reorganization of motor control changes with low back injury. Methods: This study evaluates the control of short (deep) & long (superficial) fibers of the Multifidus to determine if there is difference in 15 subjects (Ss) with a History of recurrent unilateral Low Back Pain but currently pain free at the time of the evaluation vs 19 healthy controls (ctls). Intramuscular electrodes were inserted in deep & superficial Multifidus and surface electrodes were placed over t deltoids to record EMG activity during rapid arm flexion & extension to compare t onset of short & long Multifidus fibers relative to t deltoids. The contraction of the Multifidus with rapid arm flexion & extension is an unconscious feed forward activation of core stabilizers to provide active stabilization of the spine when motion of the upper extremity results in shifts of load and reactive torques in the spine. 1. Deep Multifidus fibers were active earlier than superficial fibers on both sides of the spine in healthy ctls & on the non-painful side in recurrent LBP Subjects (feed-forward activation of unconscious stabilizing muscles), but were delayed on the previously painful side of the spine. 2. Activity of deep back Multifidus muscles is different & delayed in Subjects with recurrent unilateral LBP, despite resolution of Symptoms. 3. Changes in back muscles in Subjects with a History of recurrent LBP are more profound in the deep fibers & on the side of Symptoms. These deep Multifidus contribute up to 2/3 of the control of lumbar intersegmental motion. 4. 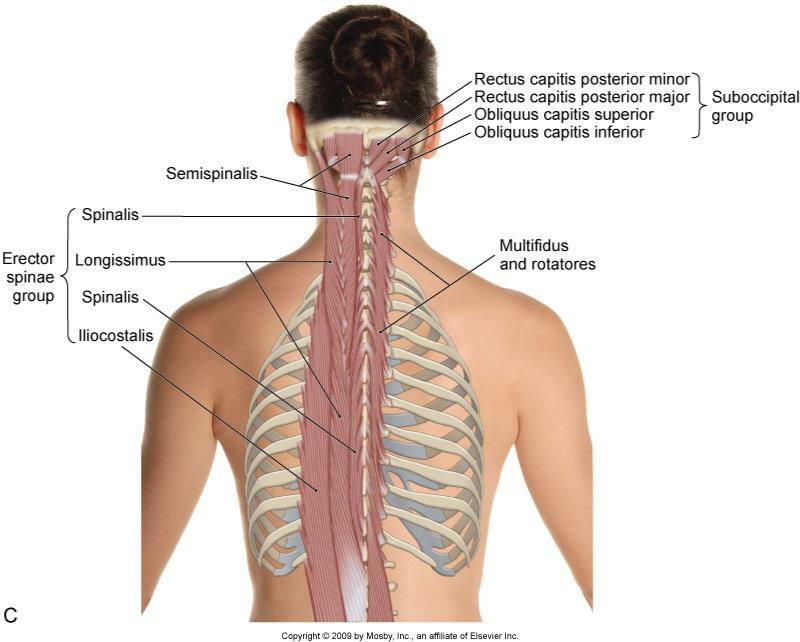 Impaired control of these muscles is likely to compromise spinal function. 5. The persistence of these changes during remission implies persistent altered loading on spinal structures during remission, which may be a cause of recurrent episodes. 6. Spinal injury specifically reduces t excitability of corticomotor inputs to the short fibers of the lumbar Multifidus. 7. An alternate motor strategy & subsequent changes in control of the deep Multifidus can remain after an initial bout of LBP despite the resolution of Symptoms. 8. Such a change in strategy may indicate ongoing problems as alterations in control of back muscles lead to changes in joint loading & kinematics of t spine. 9. Resolution of Back Pain doesn’t imply a return to normal control of the deep back muscles. Studies demonstrate that reduced Cross Sectional Area of deep back muscles remains in some Patients following an Acute low back pain despite resolution of Symptoms. Conclusion: This study presents evidence that even though they are pain-free & between episodes of Low Back Pain, recurrent unilateral Low Back Pain Subjects don’t control their back muscles in the same way as healthy controls. These findings raise the possibility that this abnormal pattern of muscle control, in the absence of pain, may leave the spine vulnerable to re-injury & predispose to recurrent episodes. 1. Why Does Back Pain Recur?